Have you noticed that the media news we've got are not really what we need in order to orient ourselves in the complex world we've created? And that also what we do at the universities has grown a bit stale and stuck in its ways? We are proposing knowledge federation as an alternative and a remedy. We motivate this proposal by three disruptive changes that developed during the past century. 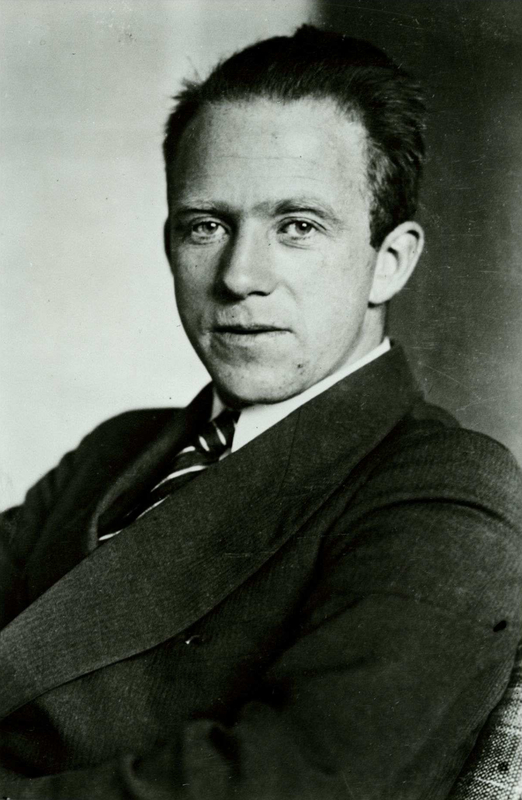 As Werner Heisenberg testified, a disruptive change has taken place in the 20th century’s science and philosophy. Leading scientists saw that what they were witnessing was in effect a rigorous disproof of some of the fundamental assumptions based on which the whole enterprise of science developed. More than a half-century has past since those insights were reported. What hinders us from adjusting our academic ethos accordingly? As Anthony Giddens observed, our society is no longer traditional. We are living in "reflexive modernity", where we no longe rely on traditional ways, but on conscious deliberation. So there's a whole new "market need" (if we may for a moment see our proposal as a business plan). Suitable information now needs to replace the socialized habits that guided our ancestors. What should that new information be like? By what methods, technology, social processes... can it be created? Our urgent need is to inform our very knowledge work. Why not pose the questions abut the information that suits our time as academic challenges? As everyone knows, a disruptive change has taken place in information technology. Why not take advantage of the new capabilities that the technology has to offer, by developing entirely new ways in which we collaborate and communicate? Why not change the practices that are there because they were the only ones that the printed text as medium could afford? Why don't we give that very challenge, to ignite that change, the academic status? 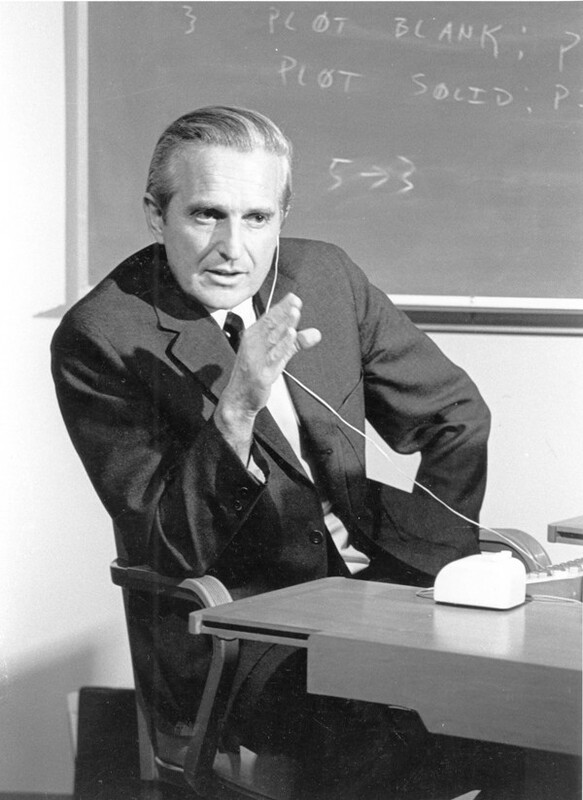 As The Incredible History of Doug will show, the disruptive new technology has indeed been created to enable such change, by Douglas Engelbart and his lab, but his vision was ignored. Exactly a half-century ago – why not give it its due place in academic reality? The rationale behind our initiative is that the above disruptive changes call for disruptive changes of the ways in which knowledge is created and shared and used. And that the synergies that are inherent among those former changes give us a most wonderful material to work with when installing those latter ones. We offer knowledge federation as a prototype of a new kind of academic entity, technically a transdiscipline, which can incubate this development. Our call to action is to provide an institutional home where we will be creative in entirely new ways; where we will recreate the very institutionalized practices and institutions that determine the ways in which we are creative. Our idea of what constitutes "good" information has been evolving since antiquity, and it now finds its foremost expression in science and philosophy. In Federation through Images we show how the insights of 20th century's giants in science and philosophy empower a whole new standard of excellence – where the explicit purpose is to inform. We show how entirely new methods and ways to collaborate can be developed on that basis. And how a new wave of technological innovation might follow. It stands to reason that the large (and small) contemporary issues may mean that our growing ability to innovate has not been suitably directed. But what might be the alternative? In Federation through Stories we extend our frontier beyond traditional-academic interests. We point to disruptive insights that lead to a different approach to innovation in general, through which both our new and old needs will be dramatically better served. Our creativity will soar when we allow ourselves to depart from the dictate of "market needs" and institutionalized habits. To make this opportunity palpable, and to streamline its practical realization, in Federation through Applications we present about 40 prototypes, which cover a spectrum of creative directions. They are opportunities ready to be taken. Together they compose a complete single model or prototype, along with its proof of concept – of knowledge federation as an approach to knowledge that suits our time. Federation through Conversations will streamline our main course of action – the creation of real-life knowledge federation. 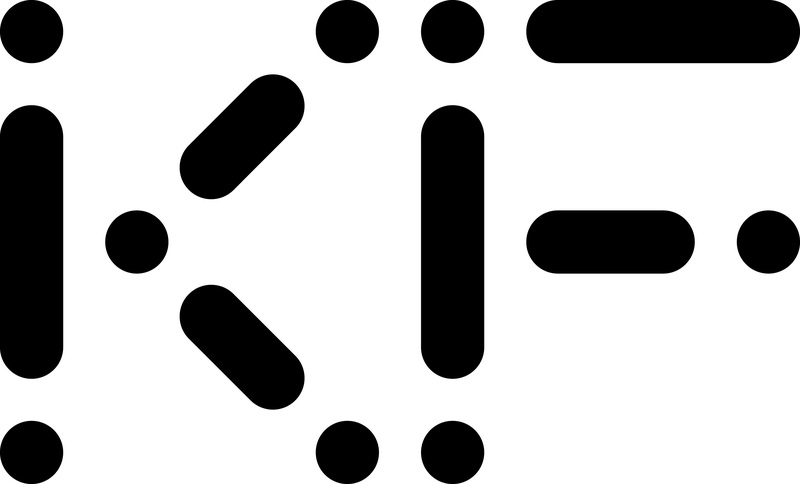 As an activity, as our logo might suggest, knowledge federation means 'connecting the dots' – connecting disparate pieces of information and other knowledge resources into higher-level units of meaning. This meaning is similar as in political federation, where smaller units unite to achieve a shared purpose, such as greater visibility and impact. One might say that what we are calling knowledge federation is really just what we normally do with information to turn it into knowledge. You may have an idea in mind – but can you say that you really know it, before you have checked if it's consistent with your other ideas? And with the ideas of others? And even then – can you say that your idea is known before other people have integrated it with their ideas? Why do we then claim that the status of an academic field, and even of a new creative frontier, should be given to this everyday human activity? The reason is, as we shall see, that the disruptive changes we have just mentioned, combined with our lack of response, led to a disruption of this all-important process. We are becoming incapable of federating knowledge! But this means that if we now give it our due attention, radical improvements of this age-old activity will most surely result. An acceleration of the homo sapiens' cultural evolution will most naturally follow – and lead to a change of his condition. To see that science too federates knowledge, it is enough to think of some of its most common procedures such as citation and peer reviews. But science does that in its own peculiar way, which resulted from the historical circumstances that marked its origins. By the 19th century the successes of science in explaining the mechanisms of nature were omnipresent. And so were also man-made mechanisms, which were rapidly changing people's lives. And so science developed a two-step federation, which consists of (1) developing a complete description of how the nature functions, and (2) explaining other phenomena on that basis. Epistemology. (To paraphrase an old joke) there are "exactly nine reasons" why we should not restrict our pursuit of truth and meaning to explaining things as results of the operation of the mechanism of nature. The first reason is that the nature is not a mechanism (further details are in Federation through Images). Societal needs. Science emerged at a time when the tradition determined the daily lives of people, to provide something that the tradition didn't provide – explanations. But today, as already mentioned, our information needs are entirely different. We need to be able to answer the questions on which information is vitally and urgently needed – also when those questions don't coincide with traditional disciplinary interests. Information technology. Having been conceived as a tradition, science is really "what the scientists are doing". So when new information technology comes, naturally the scientists will use it to only speed up what they are already doing – publishing articles. And so paradoxically, abandoned by the official culture, the powerful new media become instruments of counter-culture. Knowledge federation may be understood as an undertaking to bring to socially sanctioned knowledge work a capability that it now lacks – of deliberate and informed autopoiesis (to re-create itself when the circumstances require that). The need for it may be accentuated by the fact that Douglas Engelbart and Erich Jantsch, the true giants of knowledge federation and systemic innovation, did not find a place for their interests and ideas at the leading universities (see Federation through Stories). In Federation through Images we render the gist of our initiative, as well as the core fundamental insights of some of the leading scientists and philosophers as metaphorical and often paradoxical images called ideograms. The result is a cartoon-like introduction to (the philosophical underpinnings of) a refreshingly novel approach to knowledge. In Federation through Stories we use vignettes – short, lively, catchy, sticky... real-life people and situation stories – to explain and empower some of the core ideas of daring thinkers. A vignette liberates an insight from the language of a discipline and enables a non-expert to 'step into the shoes' of a leading thinker and 'look through his eye glasses'. By combining vignettes into threads, and by weaving threads into patterns and patterns into gestalts, we create a hierarchy of insights that can inform the handling of core practical issues including lifestyle, values, religion, innovation and governance. Knowledge is rarely empowered unless it has impacted the conventional practice, which means our institutionalized habits, and ways of working and organizational structures. In Federation through Applications we present about 40 prototypes that show how such impact can be achieved. Our prototypes are designed to continuously evolve, and hence represent the state-of-the-art knowledge (about what for ex. journalism, or education, need to be like to serve our society in transition). At the same time they serve as interventions, they are real-life models embedded in practice, changing practice, and allowing us to learn how to do better change the practice. In Federation through Conversations we the core technique is the dialog, which empowers change. Through public dialogs we create a public sphere capable of weaving new threads of thought. And we co-create social process and systemic structures capable of handling core issues in new ways. To see why the opportunities that our proposal may lead to reach well beyond the improvements of knowledge work, recall the humanity's condition at the eve of the Renaissance: devastating wars, horrifying epidemics, infamous Inquisition trials... Bring to mind the iconic image of Galilei in house prison, a century after Copernicus, whispering "eppur si muove" into his beard. The problems of the day were not resolved by focusing on those problems, but by a slow and steady development of a whole new approach to knowledge. Several centuries of unprecedented progress followed. Could a similar advent be in store for us today? 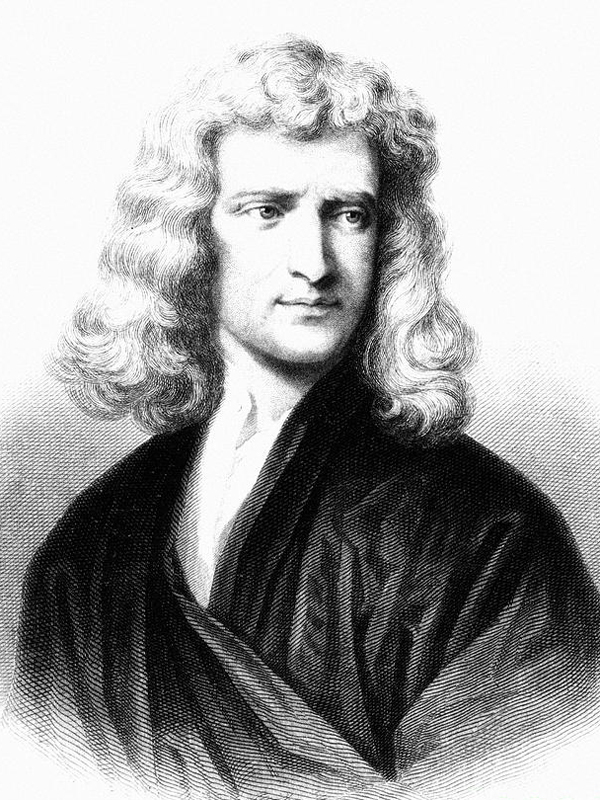 "If I have seen further," Isaac Newton famously declared, "it is by standing on the shoulders of giants." What motivates our initiative is a discovery. We did not discover that the best insights of our best minds were drowning in an ocean of glut. Vannevar Bush, a giant, saw that already seven decades ago. He urged the scientists to focus on this disturbing trend and find a remedy. But needless to say, this too drowned in the ocean of glut. What we did find out, when we began to uncover and put together the best insights of our best minds, was that now just as in Newton's time, they compose a whole new approach to knowledge. We also found out that this approach to knowledge leads to new answers to far-reaching questions – about the nature of truth and meaning; in what way might happiness be successfully pursued; what still impedes our freedom and democracy; what technological innovation may need to be like to benefit us far more than it presently does. 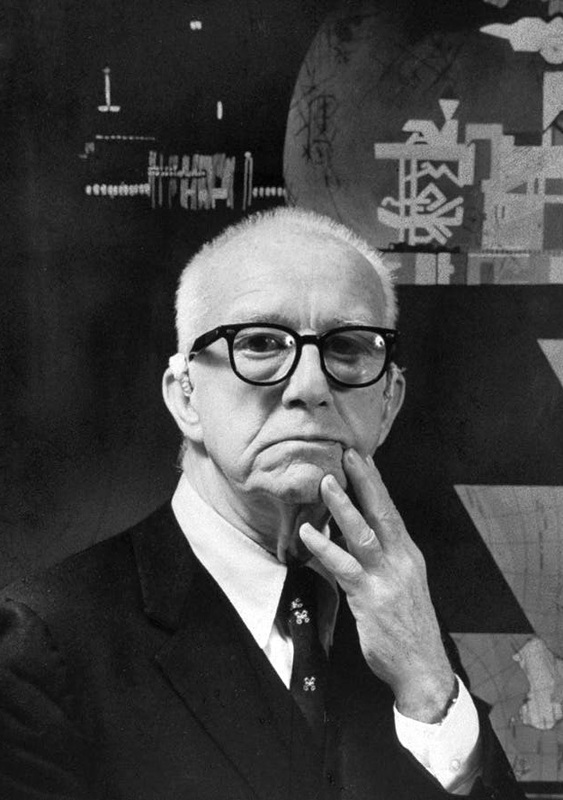 “You never change things by fighting the existing reality", observed Buckminster Fuller. "To change something, build a new model that makes the existing model obsolete.” So we built knowledge federation as a model or a prototype of a new way to handle knowledge – as it might be instrumental in revolutionizing our condition. In Federation through Images we trace the foundations and the techniques of a next-generation science-like development. In Federation through Stories we trace the historical roots of a development analogous to Industrial Revolution – of a way to radically increase the effectiveness of human work. In Federation through Applications we present a complete prototype of an emerging academic and societal paradigm, rendered as a portfolio of prototypes. In Federation through Conversations we focus on a development analogous to the Humanism and the Renaissance – of new views and values that can bring our societal and cultural evolution into sync with our technological one. By positing unconventional views on issues that matter, we ignite public dialogs. And by developing those dialogs, we evolve a collective mind capable of weaving threads of thought into surprising conclusions. Donella Meadows talked about systemic leverage points as those places within a complex system "where a small shift in one thing can produce big changes in everything". Among the leverage points, she identified "the mindset or paradigm out of which the goals, rules, feedback structure arise" as the most impactful ones. This sets the stage for the course of action we have undertaken to facilitate. Our goal is to make it possible and perhaps even easy to shift paradigms. Shifting paradigms is a tricky business. It tends to annoy people. And for a good reason, too – a shared paradigm is what enables us to communicate. Anything that challenges our shared paradigm is just plain wrong by definition (that is, as the definitions are in the old and still prevailing paradigm). Our claims (provided that we are making any) are, however, wrong for yet another and more subtle reason. Our goal is not to propose a new way to understand the world. We are not picking up a fight with the opponents of our worldview to have our way prevail. Our ambition is indeed much higher – it is to develop a way to communicate that does not depend on any fixed worldviews and paradigms. Where there are no worldview battles. We want to live in a world where the way we look at the world is continuously changing and evolving. And so what we – most importantly – are aiming at is not a debate but a dialog! We are not inviting you to a worldview contest. We are inviting you to collaborate with us, to work together to make our world and our worldviews pliable and flexible. In this noble effort we are inevitably stuck with the language and manner of expression of the old paradigm (if we want to communicate at all). And so where we might still be saying that something "really is" as we posited, what we really mean is "here's a way of looking – see if you can use it, in addition to your other ways of looking, and see more". But you should not now conclude that we are sinking into the chaos of relativism, because that's exactly what knowledge federation undertakes to remedy – as we shall see next. 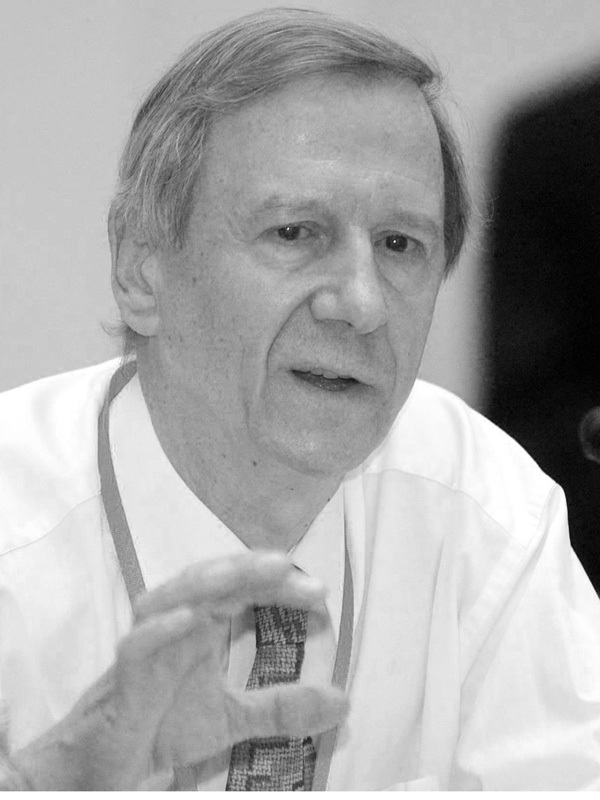 In 2012 (at the Smithsonian in Washington D.C., at 40th anniversary of The Limits to Growth report, which he co-wrote with Donella and a couple of other student colleagues), Dennis Meadows gave a talk whose message is that it is too late for sustainable development. We have gone over the limits, Dennis explained. What we now need to focus on is resilience (avoiding the collapse of our systems, and/or of our civilization as a whole). There are, however, two approaches to resilience. One is to make our systems, and our civilization, more firm and solid. The other one is to make them pliable, so that they may transform themselves under pressure, not break. It is this latter way, "resilience through flexibility", that we have undertaken to enable. Please notice that our initiative is so flexible that it is resilient even to the possibility that there are no global issues, that our civilization is on a stable and secure course and will remain on it forever. Even then – we do still need to communicate! And doesn't the fact that so many of us are living in a worldview where there are no global issues, even after researchers like Dennis Meadows have been blowing their whistles with all their might for decades – already prove our point, that we have all but lost the ability to federate knowledge about the matters that matter? As this example might illustrate, we don't really need to agree on every detail, to be able to see, beyond reasonable doubt, what it is that we need to do together. 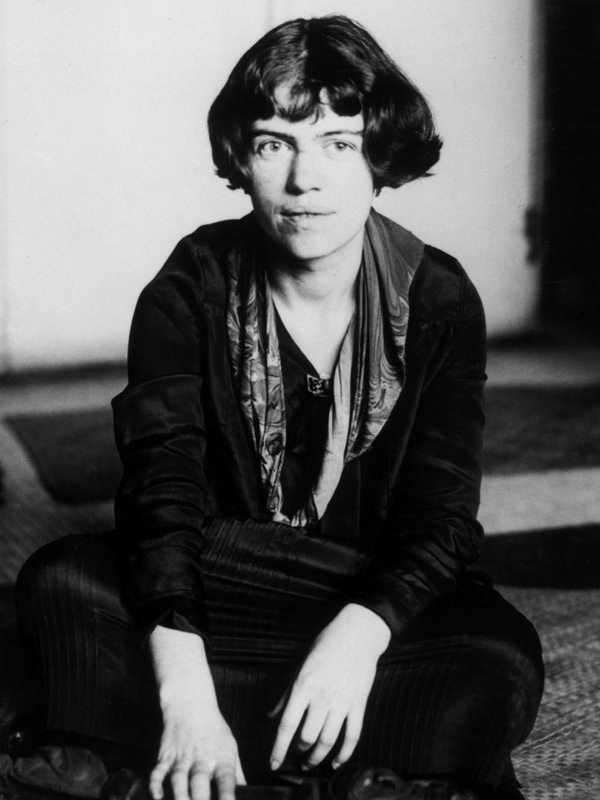 "Never doubt that a small group of thoughtful, committed citizens can change the world; indeed, it's the only thing that ever has", wrote Margaret Mead. You'll find evidence of our thoughtfulness and commitment on these pages. And yet it is clear to us, and should be clear to you too, that we cannot really change the world. The world is not only us – it is all of us together! It includes you too. So if the world will indeed change, that will be a result of your doing, of your thoughtfulness and commitment! It goes without saying that the paradigm that now so passionately wants to emerge will depend on genuine collaboration. In Norway (this website is hosted at the University of Oslo) there is a word for this – dugnad (pronounced as doognud). A typical dugnad might be organized by the people in a neighborhood on a Saturday afternoon, to gather fallen leaves and branches and do small repairs in the commons – and then share a meal together. 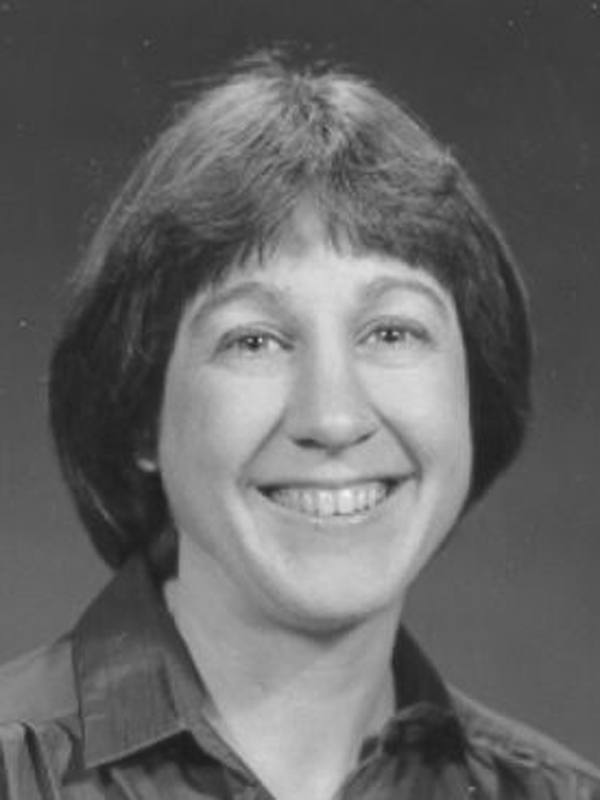 We now need the dugnad spirit at the university. And of course also broader. In accordance with our general strategy for social-systemic change, as made concrete in The Game-Changing Game, in the next phase of knowledge federation's evolution the veterans will be practicing what we call the back seat policy. We are 'moving to the back seat', and creating space for new people to take over the steering.